If you think that the ordeal of arthritis is borne only by humans, think again! Your furry friend may also be going through this torment. That’s right; animals get affected by arthritis too. If you or your loved one has ever endured the excruciating pain of this condition, I’m sure your heart will go out to your pet pooch watching him writhe in that agony. Arthritis is a progressive, age-related disease without a cure. It is also called osteoarthritis, and affects dogs by damaging the cartilage of their joints. Cartilage is a firm and flexible connecting tissue between the bones within the knee, hip, elbow, shoulder, pelvis and other joints. Due to increasing age, severe injuries, or other health reasons, the cartilage begins to erode over time. Because of the continuous corrosion, the bones in the joints come in direct contact with each other, which ultimately results in friction between them leading to their erosion. Typically, the joints most affected by this disease are those in the knees, ankles, spine, and pelvis, which bear the weight of the animal. It may start as a slight discomfort, but may escalate into an increasingly agonizing ailment, especially in animals who might be overweight. Furthermore, this condition tends to worsen in cold weather. This is probably one of the first symptoms that you may notice. The usually playful dog who would chase after the ball at any given opportunity might not care for it anymore. While most pet parents may think that this is due to old age, the real story may be grimmer than that. You might witness an increase in this kind of behavior in winters. 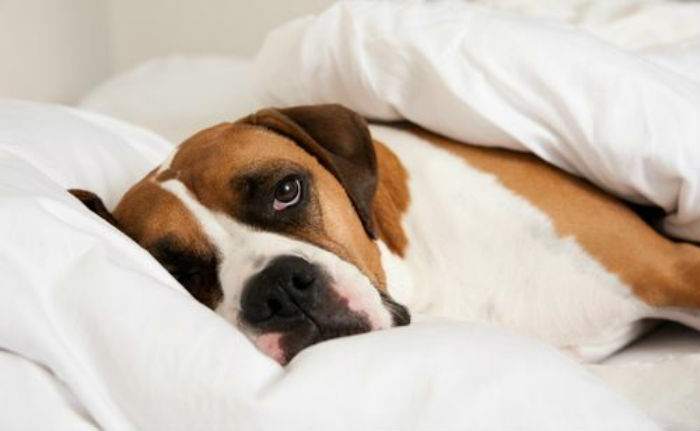 If your dog experiences difficulty in getting out of his bed in the morning, slows down when climbing stairs (or simply avoids them), and does not even step out for his everyday walks, then you know something is wrong. Unless he has always been lazy and difficult, you need to take notice of such behavior if it occurs out of the blue. The inactivity and the reluctance to play are eventually going to result in an overweight/obese dog. Don’t let your dog succumb to obesity as that can lead to other diseases, one of them being arthritis. Even if your dog is affected by it, he still needs to exercise. Take him for short walks instead of long ones but make sure he stays physically active and avoids putting on extra weight. Most of the time, dogs do not display any signs or symptoms of pain until it has reached an advanced level. If and when your dog does wince in pain, pay attention to him. He may be trying to tell you about the specific area of pain. You also need to watch out for signs of muscle-loss in your dog’s body. With winter around the corner, you need to start thinking about how you’re going to protect your dog from heightened arthritic pain. Although it is not curable, certain things can be done to alleviate it. Think about it, if you find the weather to be too cold to stand at the door without a coat on, it may not be a good idea to let your dog out of the house without a coat either. While a lot of dogs do have thick hides which protect them in cold weather, most dogs do require an additional layer of covering to feel warm. Having said that, I don’t mean that you need to dress him to the nines, but you should be able to make arrangements for a well-fitted, warm coat that serves its basic purpose with your dog. Coats do not protect dogs from frostbites on ears, nose, tail, and paws. Make sure you do not keep him outdoors in the cold for too long. Make sure your mutt gets ample exercise by keeping him active throughout the season. If you cannot take him out, you might want to install a patch of artificial turf inside your home in a separate room where he can run around, while it snows outside. Synthetic grass looks and feels just like natural grass, and is easier to maintain and clean. So the weather will not be a hindrance to his activity level. Also, help him practice diet control. Give him the best-quality dog food, but do not over-feed him as it can become difficult to burn off the additional calories making him an obese dog. To counter the adverse effects of cold weather, you need to keep him warm by providing him with proper shelter indoors. Consider placing his bed at a warm spot, giving him elevated and extra bedding, which is soft. Insulate his kennel if he sleeps there. Do make it a point to clear the accumulated snow in the driveway, around the fences, and on the rooftop. If it falls on your dog, it could leave him injured. As mentioned, cold weather can worsen the symptoms of arthritis in dogs. Hence, apart from making sure he is in good health, you also need to ensure that he is safeguarded from accidental falls and slips. It is best to seek medical help in such cases. Do make it a point to contact your vet if your pet mongrel displays unusual behavior persistently. Avoid giving him over-the-counter medicines as you never know what side-effects they may have on him. It is best to consult the vet about his medication and care to ensure that your dog’s pain lessens. 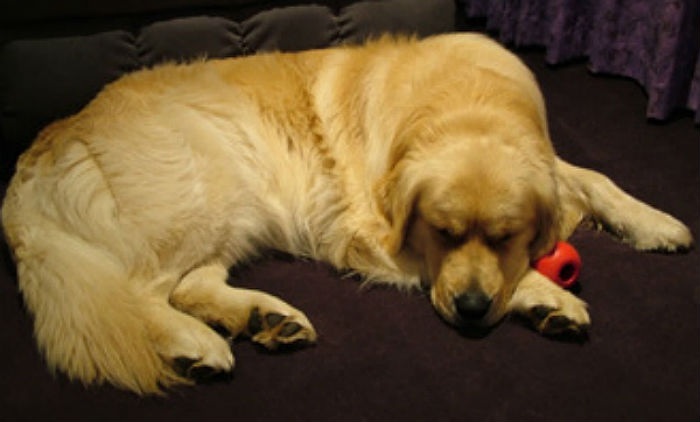 Arthritis is very painful and your dog will certainly have a tough time dealing with it. Do give him time and space to heal and recover from this pain. Of course, there are several ways of managing arthritis. Your own endeavor and your vet’s guidance are sure to work best in helping him ease the ache and improve the quality of his life.